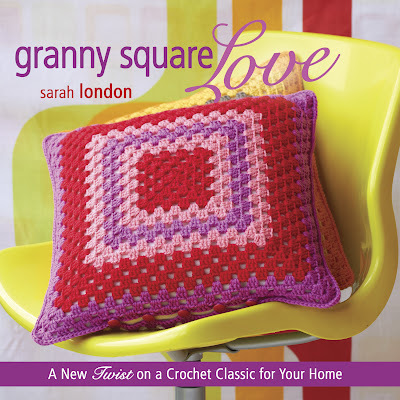 I've been meaning to share this book with you for quite a while, Granny Square Love by Sarah London. Granny Square Love is a beautiful book by one of my favorite crochet designers, Sarah London, known for her fresh modern take on the granny squares and crochet as a whole. The first thing that jumped out to me was color, glorious color and lots of it! The pages are dripping with eye catching, beautiful grannies in every size color uniting to become a plethora of unique projects and useful items for the home. My absolute favorite is the granny tablecloth trim, which will be gracing my table for sure. Folks, pick up a copy of this one or see if your local library has it...it is loaded with beautiful and fun projects. Happy Friday to you, have a lovely weekend!